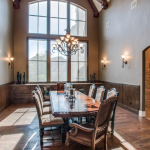 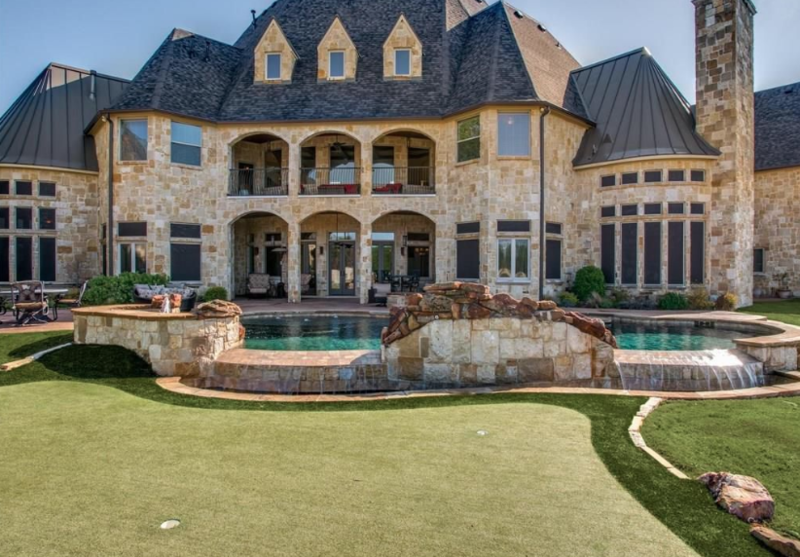 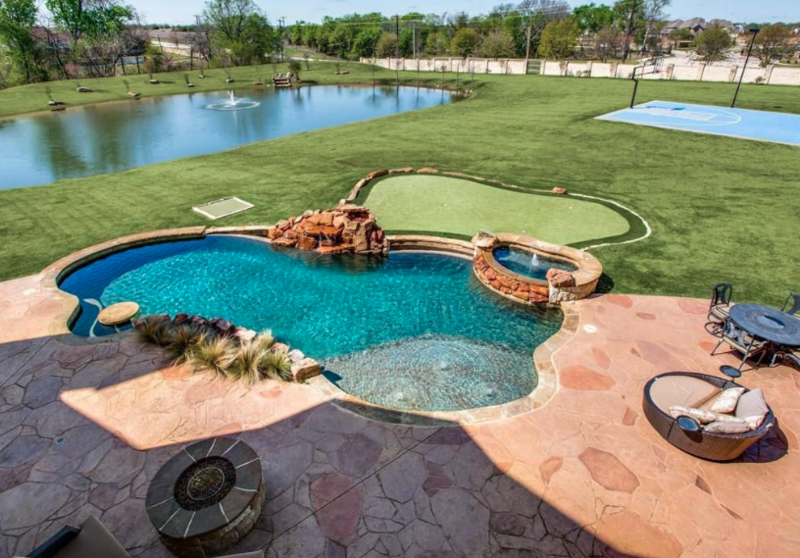 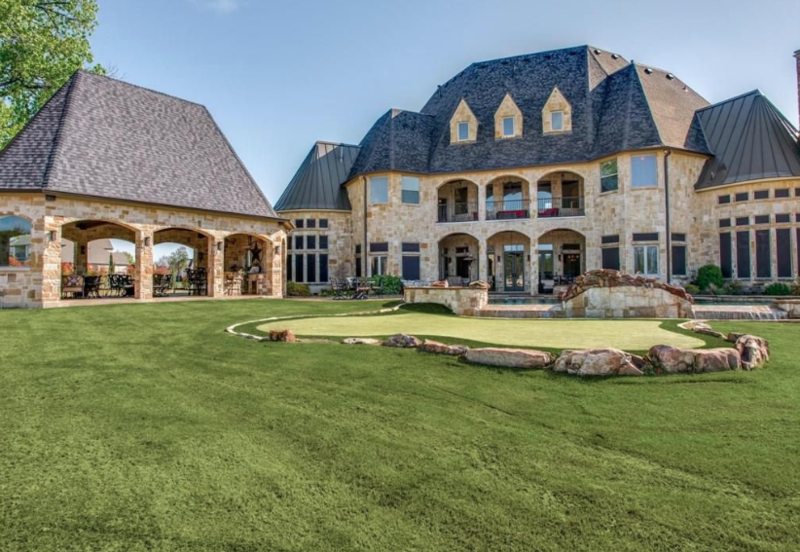 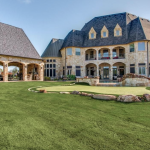 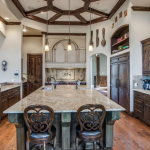 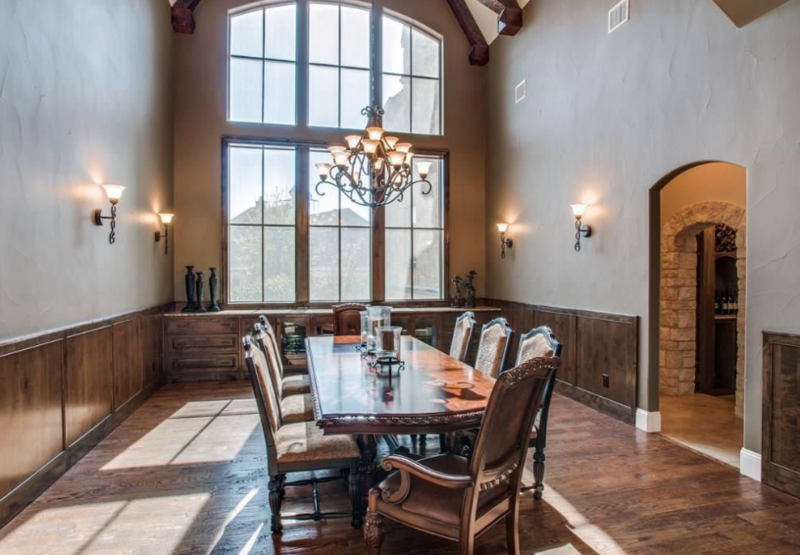 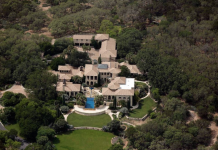 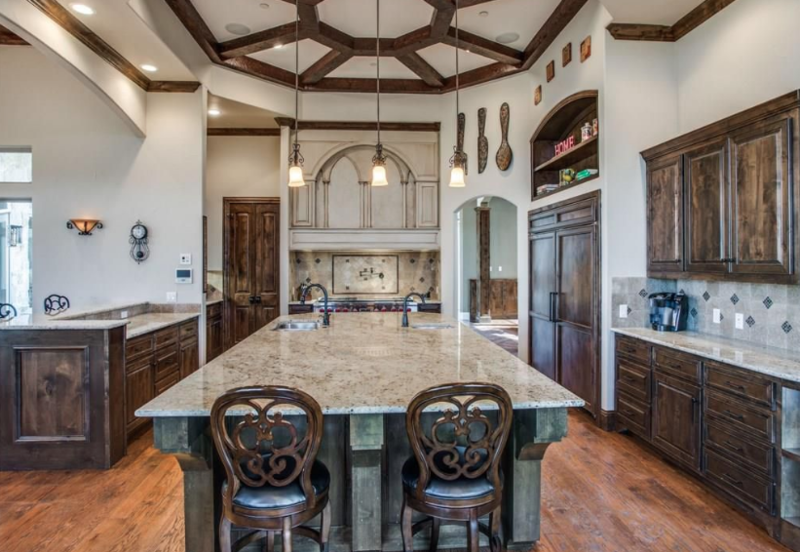 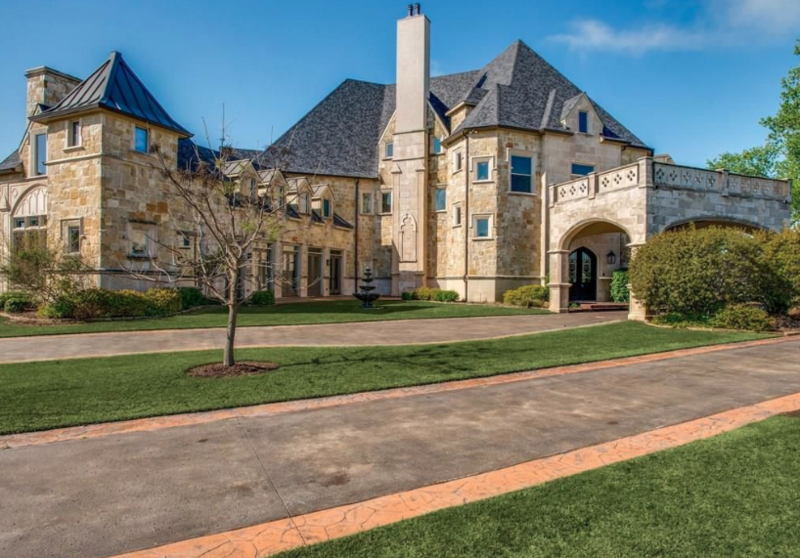 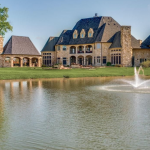 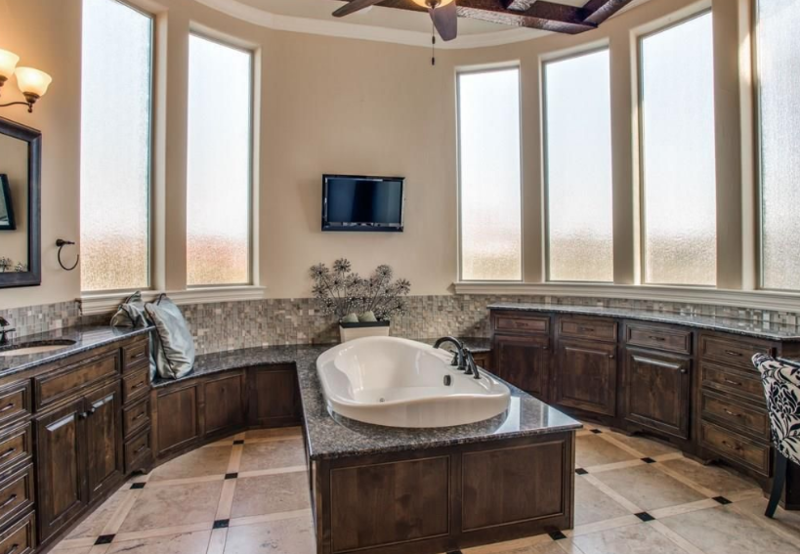 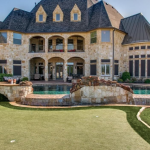 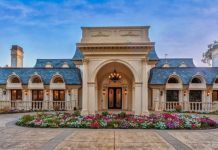 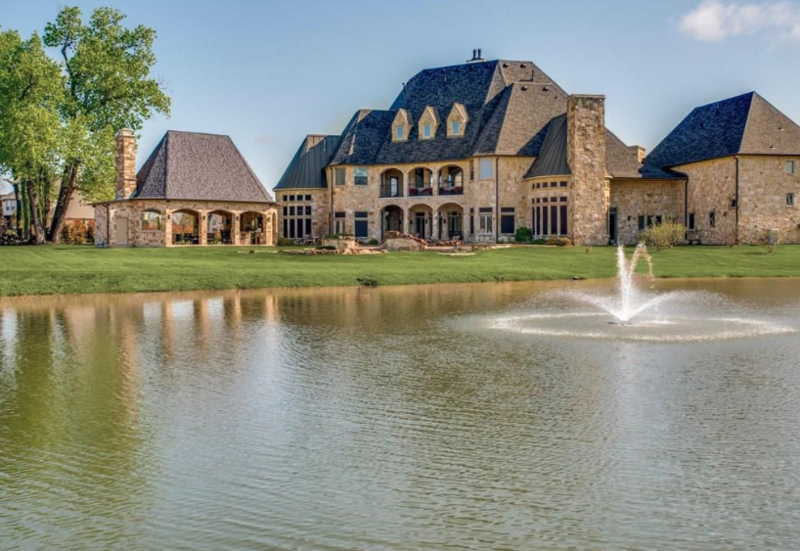 This stone mansion is located at 631 Sundance Court in Prosper, Texas and is situated on 3 acres of land. 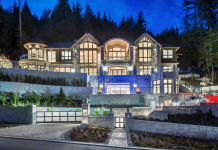 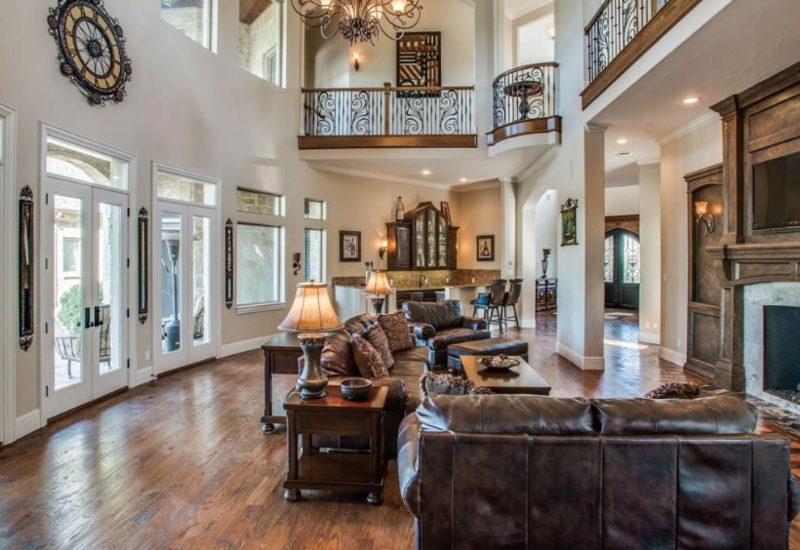 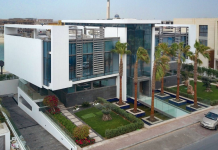 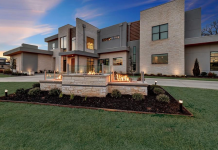 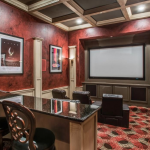 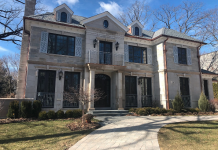 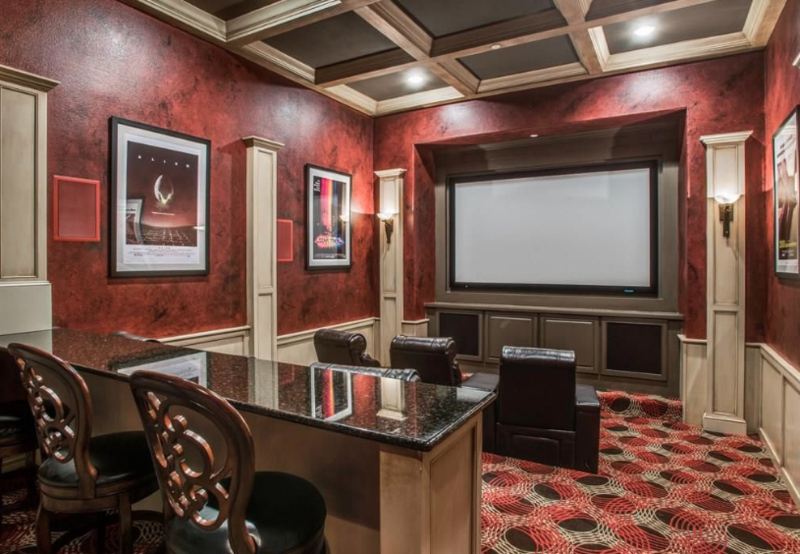 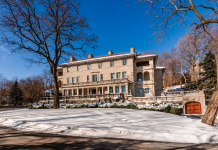 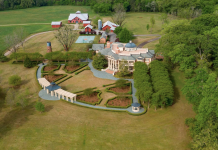 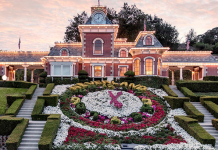 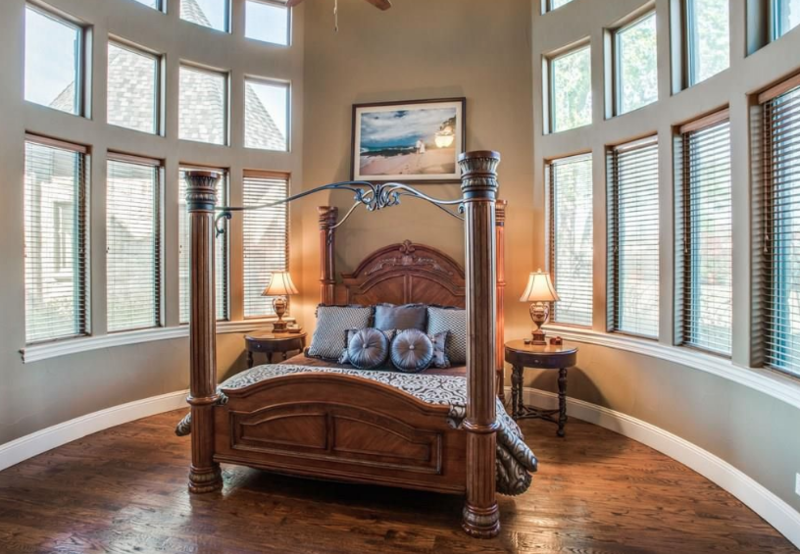 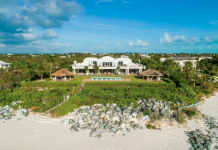 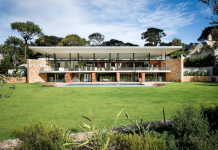 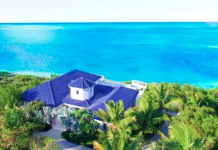 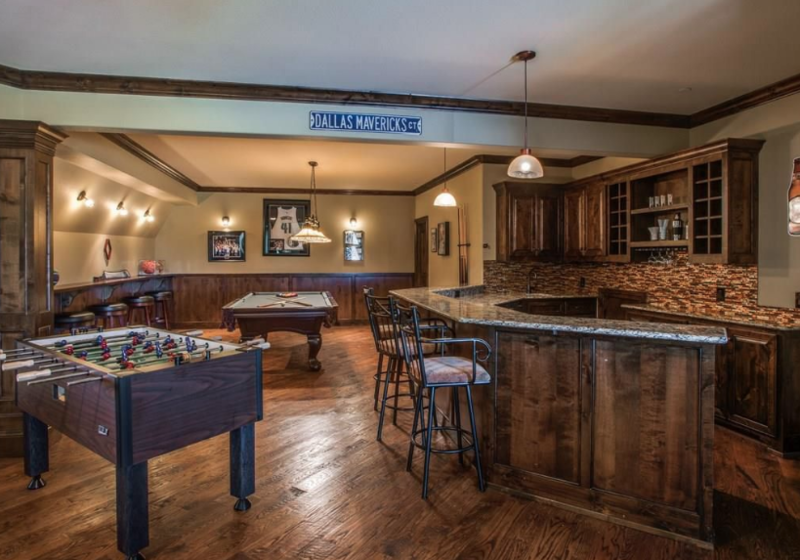 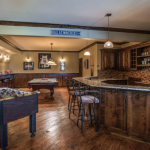 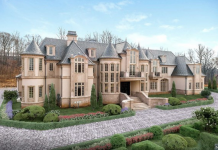 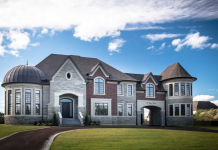 It was built in 2007 and features approximately 11,950 square feet of living space with 6 bedrooms, 6 full and 4 half bathrooms, foyer with staircase, 2-story great room, formal dining room, gourmet kitchen, breakfast room, family room, game room with wet bar, home theater, garage and more. 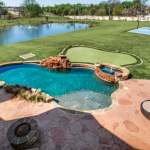 Outdoor features include a gated entrance, covered balcony, patio, fire pit, swimming pool with spa, cabana with fireplace & kitchen/BBQ, putting green, basketball court and a pond.